IF you are not afraid of mail-in rebates and prepaid American Express gift cards, good until 5/31/18, B&H Photo has a new round of Canon Pixma Mail-In Rebates with Nine Canon Full Frame DSLR Options. Nine specific kits for the following cameras: 6D, 6D II, 5D IV, 5Ds, 5Ds R and 1D X II. This expired… One of the Woot daily deals for Sunday is the new condition Canon D-Rebel T6i with 18-55 offered for $550 with a 1-year Canon warranty. 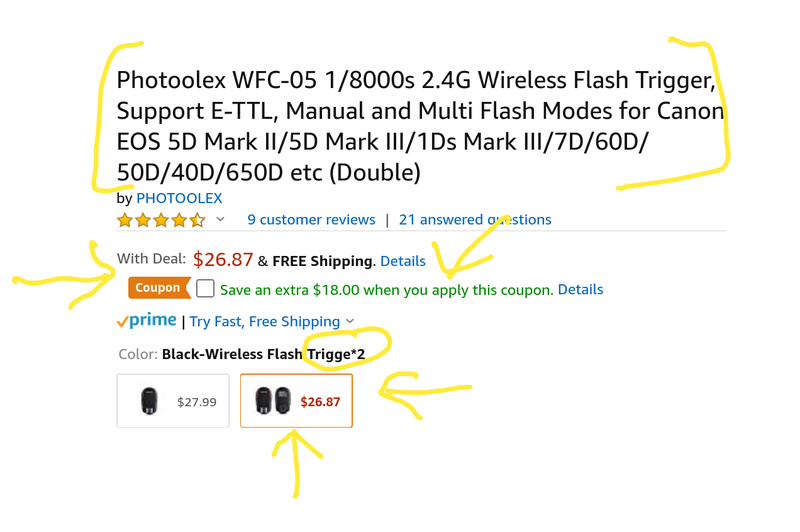 Up to three per customer at the sale price. Free shipping for Prime members or $5 flat. B&H Photo has a new sale of fifteen Canon D-Rebel and APS-C DSLR bundles with various lenses and free accessories featuring among others the T7i, SL2, 80D, T6i, 77D and T6. There is a new twist in the Canon PIXMA mail-in rebate offers at Adorama. In addition to the usual bundle they are also including a FREE Meural Canvas (priced $595 on its own) for the same price. But let’s start from the beginning. Adorama is bundling the Canon 5D Mark IV body only with the PIXMA PRO 100 printer, its trusty sidekick the SG-201 (50pk 13×19″ photo paper) and the Meural Canvas Leonora Black model. You pay $3649 at checkout with free shipping. After you receive it all and make sure all is well, following the instructions and deadlines you submit the usual PIXMA mail-in rebate. A few weeks later, if all is well, you receive a $350 prepaid American Express gift card. Thus making this offer $3300 after the $350 MIR. 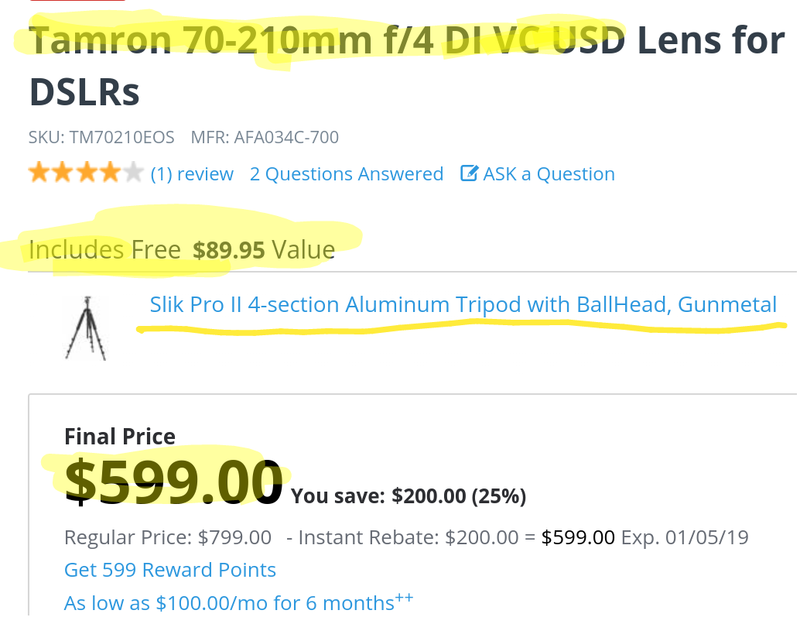 This is the same price for the Canon 5D Mark IV body only without the Pixma and Meural and without any mail-in rebates at B&H Photo and Amazon itself. The Meural Canvas Leonara is a modern stylish take on the digital picture frame. It is a 27″ IPS display with computer-y internals that can display a variety of pictures. You get a 1-year subscription to their Art Library but you can also display your own pictures – of interest to photographers obviously. Here is a link to the product page for reference. Don’t add it to the shopping cart from this link. You have to order the Canon 5D Mark IV bundle to get it for free (included automatically).